5" closed lockback. 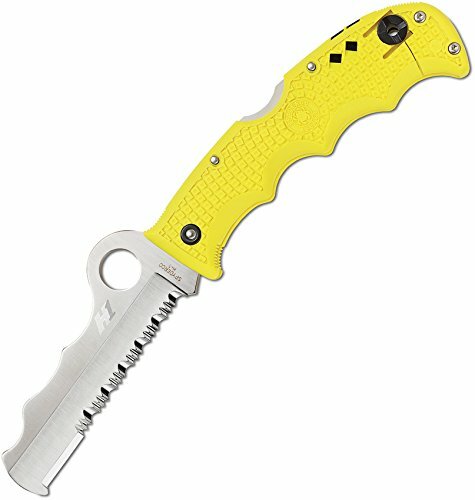 3 3/4" spyderedge serrated H-1 steel blade. Yellow injection molded FRN handles with bi-directional texture pattern and finger grooves. Retractable carbide glass breaker end. Built-in safety whistle. Reversible wire pocket clip.